The Forester, Subaru Australia’s best-selling model, will have a new model coming up and expected to boost the sales of medium SUVs. It joins its rivals in their respective recent overhauls. Details on this fifth-generation Forester are still secret, but what we know is that it will break cover in the first half of 2018. The local launch is set to happen in the second half of the year. Since Subaru usually rolls out its most significant models during the New York motor show, the new Forester will likely be revealed in late March. The new medium SUV is expected to share the ‘Subaru Global Platform’ (SGP) with the latest XV and Impreza. Its architecture reduces noise, vibration, and harshness (NVH) levels. It also makes ride comfort, rigidity, and handling better as well. The Forester, which is in the medium-SUV segment responsible for around 17 per cent of Australian vehicle sales, is slated to have the new 1.6-litre turbocharged boxer four-cylinder petrol engine that debuted in the Levorg. On the cards is 125kW of power between 4800rpm and 5600rpm and 250Nm of torque from 1800rpm to 4800rpm, up 15kW and 52Nm over the base 2.0-litre powerplant used by the current-gen Forester. Claimed fuel consumption for this engine is 7.4 litres per 100km on the combined cycle test in the Levorg GT, up slightly over the naturally aspirated 2.0-litre unit (7.2L/100km). 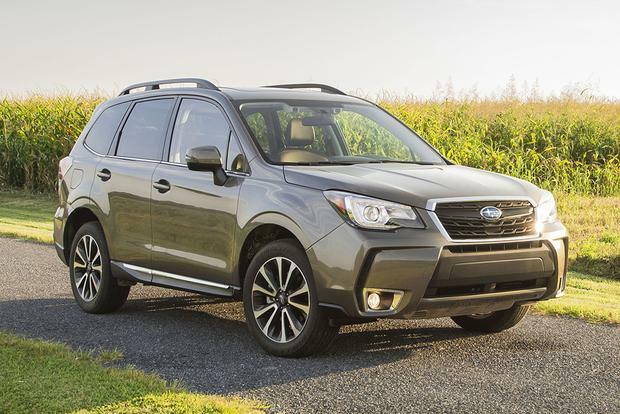 Subaru Australia is hoping that the Forester’s sales will have a resurgence just like the Impreza’s, which has increased its sales by 143 percent this year. While waiting for the latest Subaru to arrive in Australian shores, have your current one taken care of by the best auto repair service in Canberra? Entrust your vehicle to Roverworks, Canberra’s top choice for automotive repairs, parts and maintenance. Our mechanic team specialises in Land Rover and Range Rover models, in addition to servicing of 4x4s, off-road and other car models. Visit our shop for a quick check-up, Mazda consultation, Subaru repairs, or Subaru maintenance and parts.